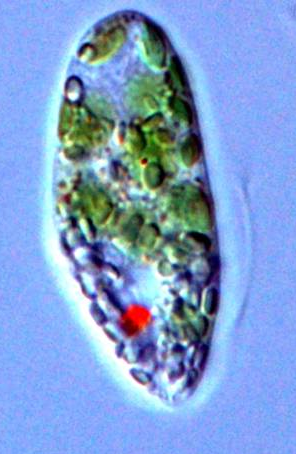 A euglena, which is pictured above is a single-celled protist that can swim using a flagellum. This whiplike structure allows the Euglena to move about rapidly like a small animal. In addition to swimming, it can practice photosynthesis like a plant. Think of a Euglena like a swimming plant.